Mix together all dressing ingredients and set aside for flavours to develop. Taste should be slightly of the W sauce but mostly just savoury. You may need to add more salt to the finished chicken salad, but wait until the dressing has been mixed through. Prepare, and mix together your greens. 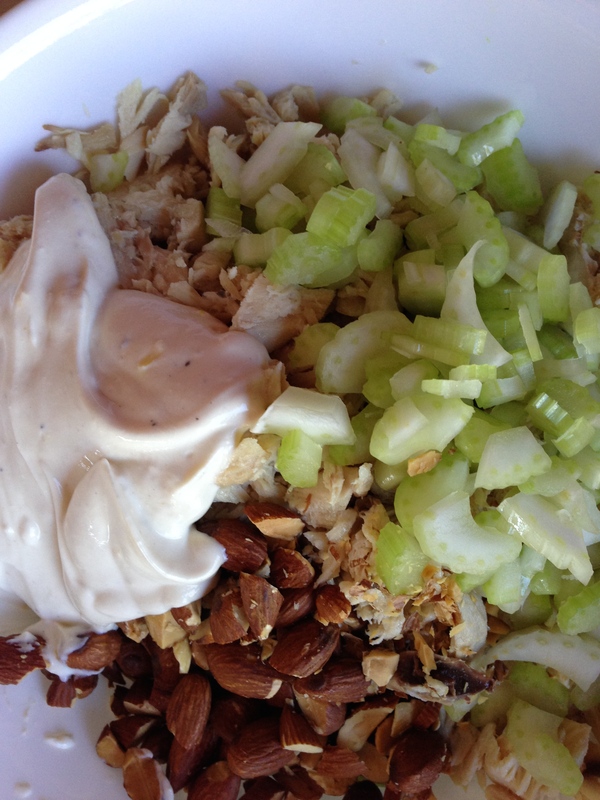 In a separate bowl, combine chicken pieces, celery, almonds and ½ C of the dressing. Stir together thoroughly. Taste for salt and also to see if you need the rest of the dressing mixture. Add the currants, if using. Mix through. 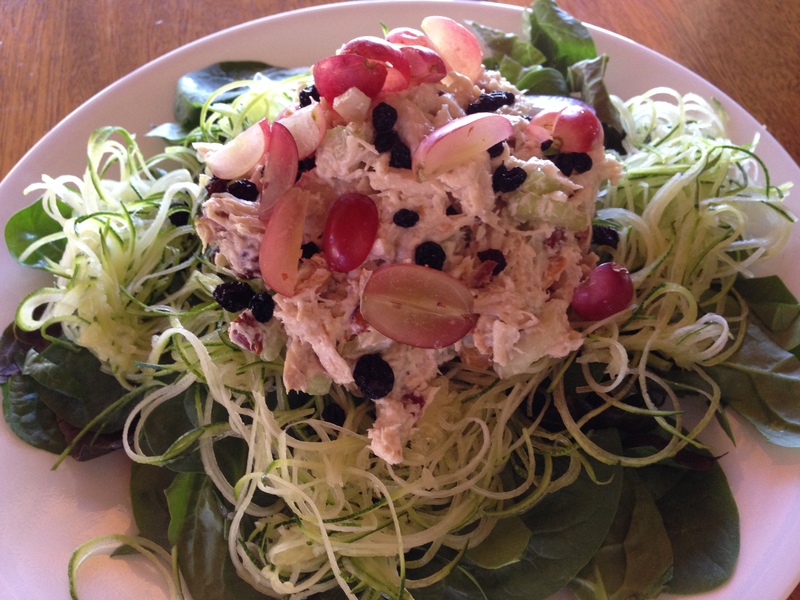 Place a serving of chicken salad (about 1cup) on top of the bed of greens. If using the grapes, sprinkle over the salad. *Grapes are very sweet with natural sugars, so for those sensitive to fructose, or trying not to eat things that will spike their blood sugar, use the currants, or try orange segments. The sweetness in this salad is part of its essential flavour, so I don’t suggest leaving it out altogether, the taste will be disappointing. I opt for a few currants, and 5 or 6 grapes cut in half for a serving. **The Lea & Perrins also has molasses and a small amount of sugar in it, but as there is only a teaspoon or so used, and the taste of this depends on the savoury quality it gives the dressing, I continue to use it. If that little bit of sugar will bother you, I suggest finding a different recipe!